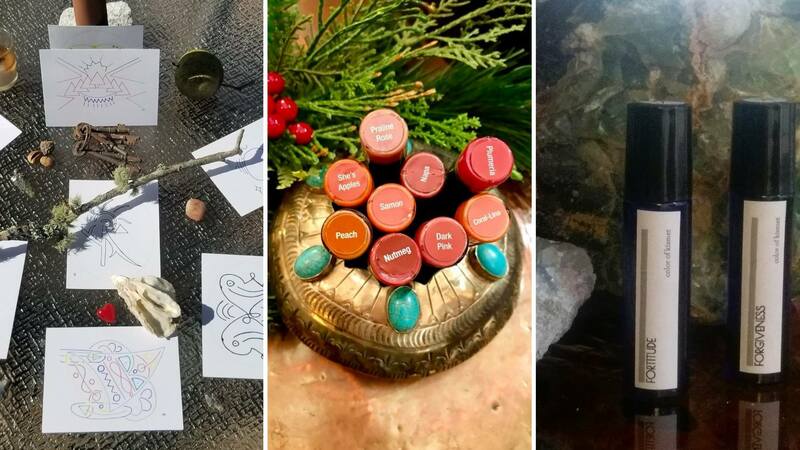 HomeEventsCreate Your Holiday Self-Care Kit! Create Your Holiday Self-Care Kit! Flow through this holiday season with peace in your heart, a joyful pout, and a cool under pressure persona by pampering yourself first! Give yourself a gift that will last the whole season by creating your Personalized Holiday Self-Care Kit. 1. Your Zen: One set of Dr. Kate's Meditation Made Easy Cards OR a print from the Divine Awakenings Series. 2. Your Colorful Confidence: A color and gloss from the Lipsense collection, curated for you by Hillary Fouts. 3. Your Blissful Aromatherapy: An essential oil blend customized to your needs for the Season by Angelyn Nicholson of Your Therapy Space. You'll enjoy hot tea and cider and light hors d'oeuvres as you work with Dr. Kate, Hillary, and Angelyn to customize your kit. Place yourself on your own holiday priority list and experience the magic of the holidays like never before.